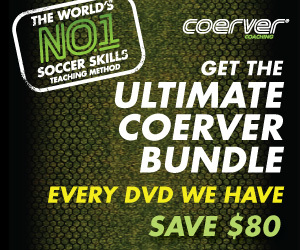 Let's learn how to play good defense in soccer. Here's a list of key aspects of good defending. Use these standards as your guide and you'll be well on your way to playing tough defense, no matter who you're playing against or facing, whether it's Lionel Messi or the neighbor kid down the street. Well, actually, not sure who can stop Messi these days, but this list will give you at least an edge. Below are tips for soccer defenders who want to play at the highest level. Try to model your defensive soccer game after players like Carlos Puyol and Nemanja Vidic, both tireless defenders who never give up a play and know how to stand a player up and keep them in front of them - that's the key, don't dive in and try to win the ball right away unless you're sure you can win it or you have cover from a teammate behind you. It also depends upon where you are on the field and whether you're the last man. Overall though, good defense is all about keeping the ball in front of you and forcing them to put their head down so they can't make a pass. Again, focus on keeping the player in front of you and don't rush to win the ball right away. Don't get stuck in unless you have support from your teammates. 1. Stand the player up and don't dive in. 2. See the player and the ball at all times. Focus on the ball when defending one versus one. 3. Keep the player in front of you. 4. Bend your knees and be on your toes. 5. Be prepared to move backwards and or to the side quickly. 6. Listen to your teammates behind you. They can give you directions, such as steering the player to the touchline, inside or to make a tackle when there's an opportunity. 7. Work to make attackers make mistake - have patience and don't faill for feints. 8. Force the attacker into pressure - where there are other defenders. 9. Work to keep the ball in front of you - it's fine to let an attacker have the ball with his back turned to you away from goal. No need to foul. 10. If support is behind, increase pressure and look to win the ball. 11. Close distance while ball is traveling to the player. Make the attacker make a mistake because they think you're going to win the ball. 12. Stay on your toes and avoid standing flat footed - that's how a defender gets beat. 13. Defenders must tighten up when getting close to goal so defenders can win balls when attackers makes mistakes. 14. Play hard and with intensity - don't give up even if you get beat, track back towards the goal. 15. Yes, there are times whey you do have to foul the player on purpose - this is called a professional foul, when your team might be up in the attack and can't get back and you need to foul a player so you don't get counter attacked. Again though, try to pick out a defender you admire to model your defensive game after. Perhaps it's Barcelona's Gerard Pique or Chelsea's John Terry. 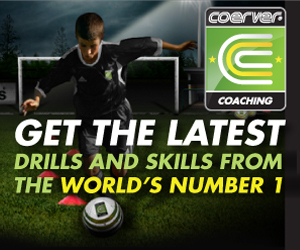 Find a player in the Premier League, La Liga or the Italian league how you can model your defensive game after. Watch them play and copy what they do when they're playing defense. The first objective should be to keep the offensive player in front of you. Slow him or her down until you have more cover. Push the offensive player towards one side and shuffle backwards while slowly steering the offensive player to the sideline or into another teammates path. When you have cover, or are confident, you can win the ball and look to make a tackle! Either going in with the inside of the foot to knock the ball away and try to win possession at the same time or poke the ball away. When making a tackle make sure you have a strong presence and are in a well balanced position. Just as an offensive player makes feints, you as the defender can also act like you are going to go for the ball to put the offensive player off balance and then win the ball when they least expect it. Take a look at this video of Bobby Moore, perhaps one of the best tacklers in the game. Watch how he stops Jairzinho in his tracks during England's Group game with Brazil at the World Cup in 1970. Just when the ball is kicked drop off the player so you can get a running start and clear the ball, don't be on your heels but jockey for position in a way, and read the game. If you're too tight than you can't jump up and clear the ball away. So keep this in mind on goal kicks, when the ball is in the keeper's hands and he's going to punt the ball, or when a defender is serving a long ball into a forward. Keys: Don’t foul when you have a defender in the corner with their back turned. So often you see players foul the defender unnecessarily, and something that’s so frustrating for the rest of the team. The defender is in their own defensive third, just close them down and force them to make a tough pass or kick it out of bounds. Don't foul a player when their back is turned and they don't have a way out other than a back pass or a pass our of play. Additionally, the modern game of soccer is about keeping possession of the ball, so all defenders have to have the ability to play the ball out of the back under pressure. These means developing a good first touch and moving the ball quickly. As far as trying to break down a defense or get through a defense in soccer, the key is to keep the ball moving by playing one and two touch soccer. If your team is playing the ball quickly then the other team doesn't have time to close down every player. It's also about timing. This means switching the ball to the other side of the field where you have more numbers, or have the player on your team who can beat players on the dribble, is open. There are teams that will pack the box or hunker down and just drop everyone back to try to play for a draw - they call it parking the bus. Jose Mourinho would often do this once his team scored. It's tough to break through teams that play like this, but it's possible. Ideally you want to catch them on the counter or draw them into fouling you and win free kicks. But you also don't want to get frustrated and force the play and have them counter against you. Overall, the best your team can do when trying to break down a defense is keep possession of the ball and look for those moments where your team has an advantage. And again, the way to do this is to move the ball quickly, playing the ball into a forward and getting it back and then playing it out wide. Plus, it's smart to surprise the other team, by taking some long distance shots or crossing the ball early.